The City of Edmonds is working with the Conservation District and WSU Extension to start a Rain Garden Program to promote the use of rain gardens around the City. 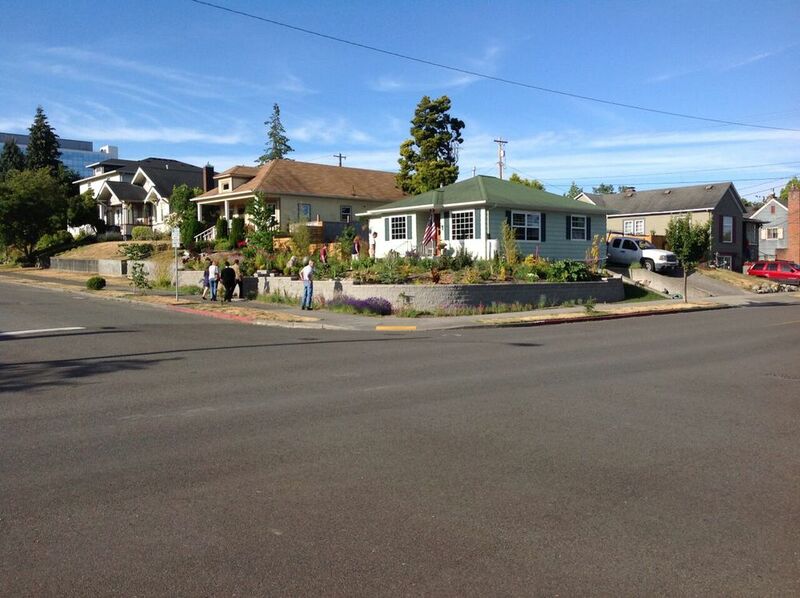 As a way to jump start the program, we're organizing a rain garden cluster installation in a neighborhood in Edmonds. We want to find at least 6 property owners within the same neighborhood(s)* to agree to install a rain garden on their property. *A neighborhood would be houses within a couple blocks of each other, close enough for a walking tour. 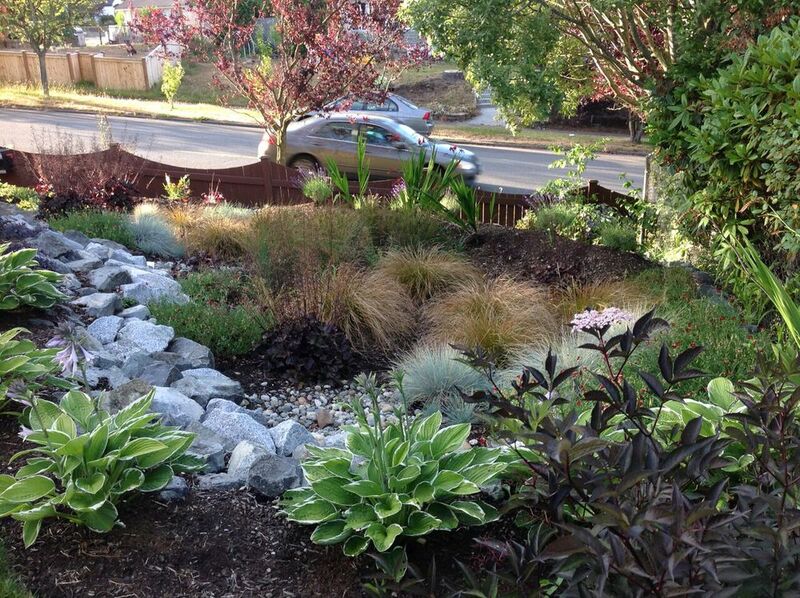 The City of Edmonds will cover the majority of the cost of the project, since these rain gardens will reduce the flow to the City-owned stormwater system. The homeowner will be provided assistance with including site evaluation, design, construction, and basic plants for the lower part of the rain garden. Additional ornamental planting will need to be supplied by the property owner. Thank you for your interest. We will be in contact within 5 business days, if you have questions or need help sooner please call 425-335-5634. 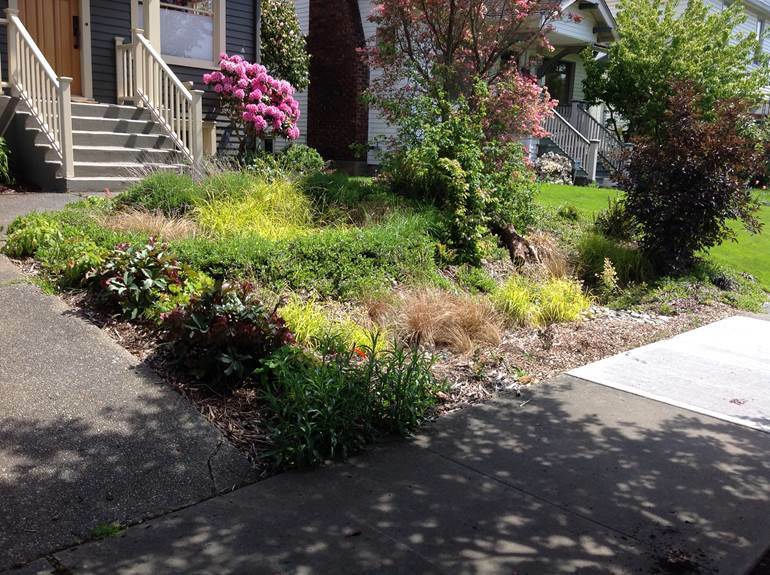 This project is very similar to the City of Everett Rain Garden Program, that has installed 22 rain gardens to date.